In this 2-day workshop for acupuncturists and students, I hope to inspire you to use your hands as well as your needles and to rediscover the power and clinical effectiveness of Moxibustion. The workshop will be practical. I want to share with you key Tui na and Moxa techniques that you can integrate easily and naturally with acupuncture. The techniques that I find highly effective in the treatment of women’s health issues. Using Tui na in clinic gives me flexibility in the treatment space. Entire channels can be opened, dredged and cleared. Important points that are sometimes too sensitive to be stimulated with the needle can be activated with thumbs or hands. The effect on the Qi is tangible to the patient, powerful but grounded and reassuring. I use my hands on local areas significant to the movement of breath, Qi, Blood and emotion while distal needles are in place. Often I work in the sacrum, pelvis, chest and diaphragm. And always in the abdomen. Working in the abdomen with the patient’s breath I use pressing (An Fa), kneading (Rou Fa), vibrating (Zhen Fa) and rocking to release congestion, adhesion and knotted tense fascia. In my experience menstrual and fertility problems often involve the unconscious storing of emotions which can damage the Blood and lead to congestion and tightening of the abdominal fascia. Accumulation and stagnation of Qi, Blood and pathogenic factors can lead to Zheng Jia (Concretions and Conglomerations) such as ovarian cysts, endometriosis, fibroids, infertility and PMT. Working physically and energetically in the abdomen is a wonderful way to keep Qi and Blood flowing freely. All acupuncture needling techniques have evolved from Chinese Massage therapy. Before needles, ancient shamans and healers used their hands and smouldering herbs like Moxa (mugwort), to stimulate points and channels to affect Qi, Blood and Shen. It’s unfortunate that Moxa is now rather underused in the West, as its therapeutic effects in clinic are impressive. Tui na is the grandmother of all forms of bodywork that exist today. Both physical bodywork and subtle energy medicine, it’s broad and deep in its therapeutic range. Learning Tui na will bring new scope and inspiration to your practice and what’s more, patients love it! Sarah Pritchard was one of the first westerners to practice Tui na in the UK and is known as an inspiring teacher and workshop leader. She originally trained to be an actor at RADA where she was introduced to Alexander Technique, Qi Gong, yoga and meditation as well as the performance and communication skills that have proved invaluable for teaching. Her Chinese Medicine studies began in 1992 with 3 years at The London School of Chinese Clinical Massage Therapy. This was followed by training at the Nanjing University of TCM and clinical supervision at the Nanjing 2nd Affiliated Hospital of TCM with Dr. Wang Jian Min, head of the Tui na Department. She graduated as an acupuncturist from the London College of Traditional Acupuncture and Oriental Medicine and is a member of the British Acupuncture Council. Sarah is the author of 2 Tui na books. Chinese Massage Manual originally published by Piatkus in 1999 and re-published with Healing Path publications in 2010 is the definitive introductory text on Tui na Massage currently published in English. Her second book, Tui na – A Manual Of Chinese Massage Therapy, published by Elsevier Churchill Livingstone in 2010 and re-published by Singing dragon in 2015 is a comprehensive handbook for the 21st century student and practitioner of Tui na working in the West. Both books are used as essential texts on Tui na training courses in the UK, Europe and the USA. Sarah has over 16 years teaching experience. 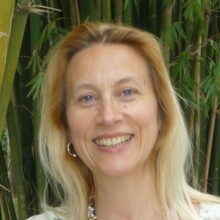 In 2001 she wrote and developed the professional Tui na course for the LCTA London College of Traditional Acupuncture. She was course co-ordinator and senior lecturer until the college closed in November 2010. She has run courses, workshops and postgraduate seminars for the LCTA, the College of Integrated Chinese Medicine (CICM) the International College of Oriental Medicine (ICOM) and the Florence Tui na Congress. She is currently course creator and co-ordinator of the City College of Acupuncture Tui na course. Sarah has been in private practice since 1994. She is the founder and Director of Blackheath Complementary Health Centre established in May 2000. She also works from her home practice in Hackney East London. Sarah is the Chair and one of the founder members of the UKRTCM the UK Register of Tui na Chinese massage, dedicated to promoting the benefits of Tui na and developing standards of practise in the UK. Successful completion of ACU113/114 Techniques and Therapeutics or a similar acupuncture therapeutics course of approximately 90 hours in length.